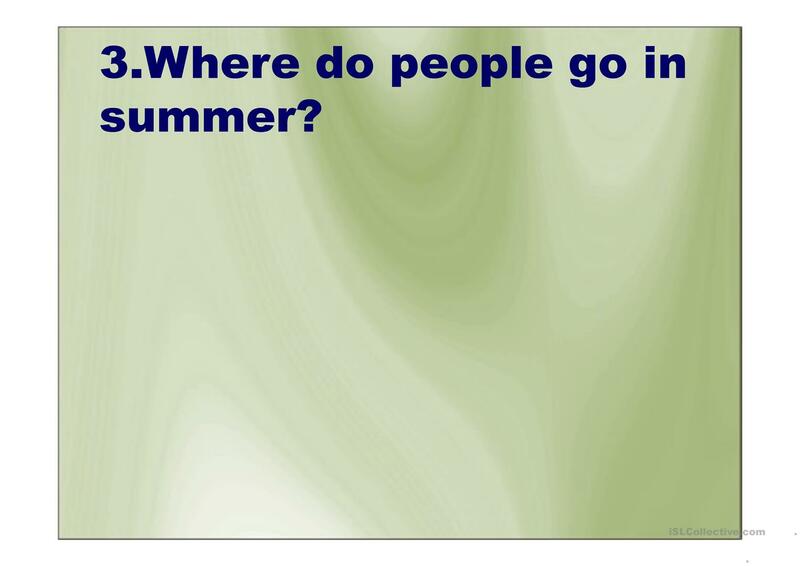 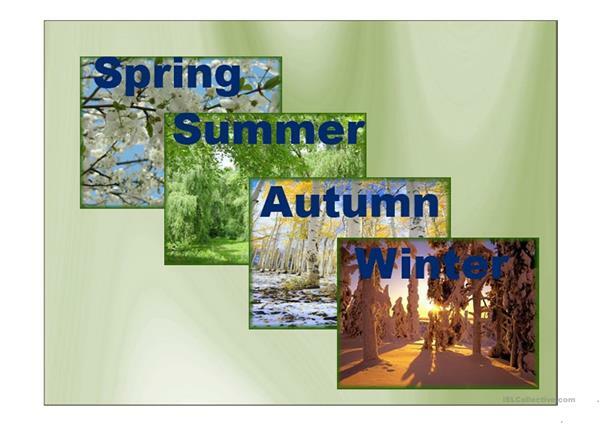 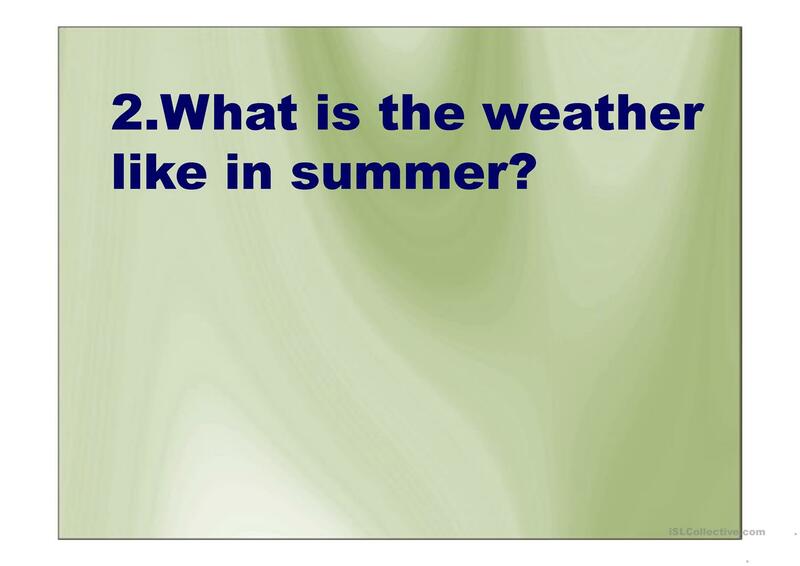 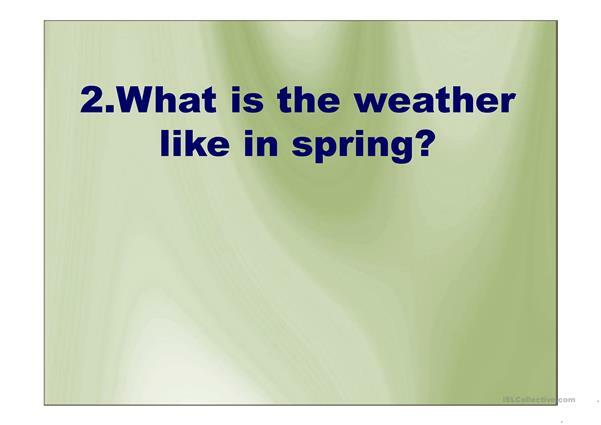 In this Power Point Presentation students learn about the seasons,weather in this seasons, and what people need to live . 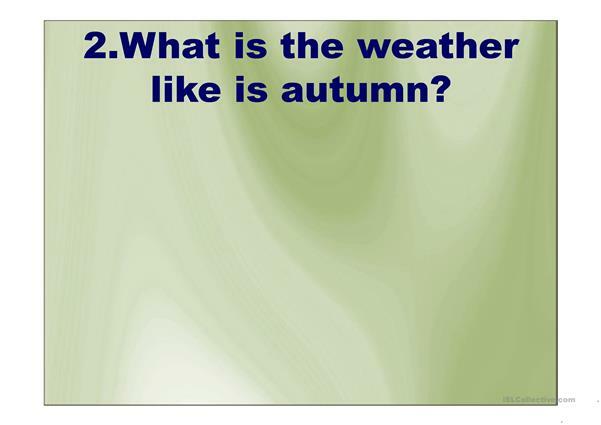 The present downloadable worksheet is intended for elementary school students at Beginner (pre-A1) level. 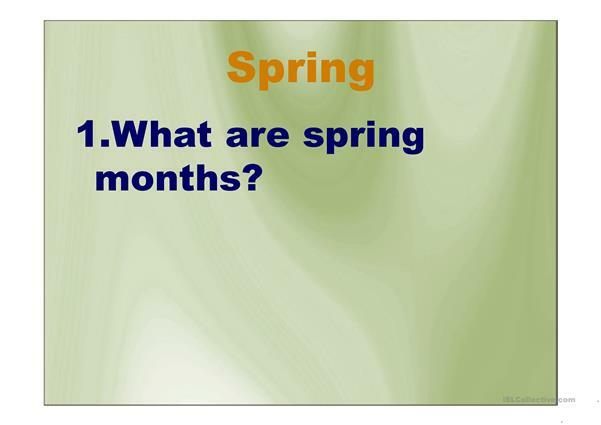 It is valuable for teaching Adjectives in English, and was designed for developing your groups' Speaking skills. It features the topic and words of Autumn. 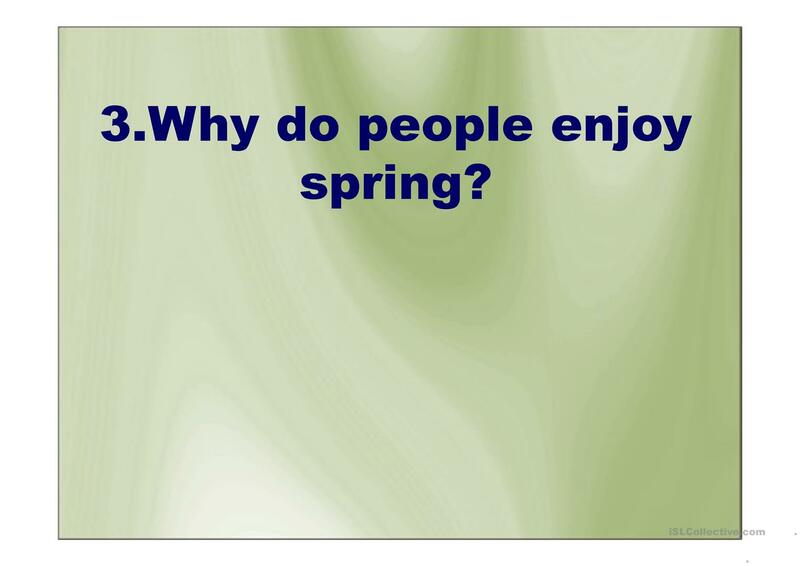 It includes the solutions, too. 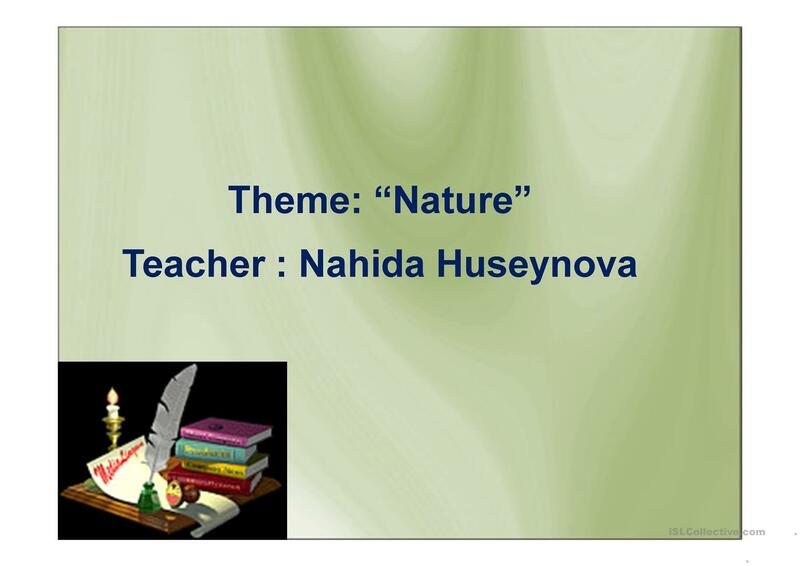 nahida67 is from/lives in Azerbaijan and has been a member of iSLCollective since 2013-03-06 21:18:35. nahida67 last logged in on 2014-05-01 06:20:51, and has shared 3 resources on iSLCollective so far.